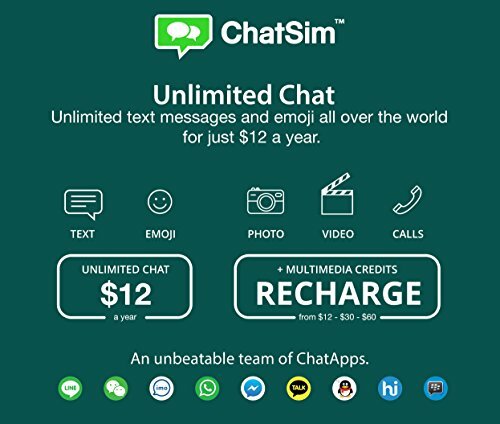 With the ChatSim sim card you can chat with your friends through the most used chat apps, like Whatsapp and Messenger. 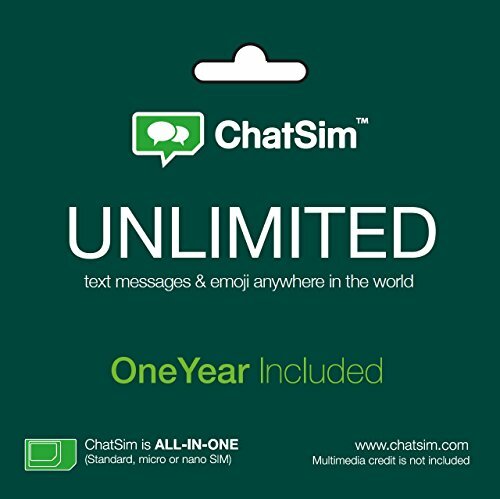 ChatSim Unlimited has coverage in the following countries: Afghanistan, Albania, Anguilla, Antigua and Barbuda, Argentina, Armenia, Aruba, Australia, Austria, Azerbaijan, Bangladesh, Barbados, Belgium, Bermuda, Bolivia, Brazil, British Virgin Islands, Brunei, Bulgaria, Burkina Faso, Canada, Cayman Islands, Chad, Chile, China, Colombia, Congo Dem. Republic, Costa Rica, Croatia, Cuba, Cyprus, Czech.Republic, Democratic Republic of Lao, Denmark, Dominica, Dominican Republic, Ecuador, Egypt, El Salvador, Estonia, Faroe Islands, Fiji, Finland, France, French West Indies, Gabon, Georgia, Germany, Ghana, Greece, Grenada, Guadalupe, Guatemala, Guinea, Guyana, Haiti, Honduras, Hong Kong, Hungary, Iceland, India, Indonesia, Ireland, Isle of Man, Israel, Italy, Jamaica, Japan, Kazakhstan, Kenya, Korea (South), Kuwait, Kyrgyzstan, La Desirade, Latvia, Les Saintes, Liechtenstein, Lithuania, Luxembourg, Macau, Malawi, Malaysia, Mali, Malta, Marie- Galante, Martinique, Mexico, Moldova, Morocco, Montserrat, Nepal, Netherlands, Netherlands Antilles, New Zealand, Nicaragua, Niger, Nigeria, Norway, Oman, Pakistan, Papua New Guinea, Panama, Paraguay, Perù, Philippines, Poland, Portugal, Puerto Rico, Romania, Russia, Rwanda, Samoa, Saudi Arabia, Senegal, Serbia, Singapore, Slovakia, Slovenia, South Africa, Spain, Sri Lanka, St Barts, St. Kitts, St. Lucia, St. Martin, St. Vincent / Grenada, Suriname, Sweden, Switzerland, Taiwan, Tajikistan, Tanzania, Thailand, Tonga, Trinidad & Tobago, Turk & Caicos Isl., Turkey, Uganda, Ukraine, United Arab Emirates, United Kingdom, Uruguay, USA, Uzbekistan, Vanuatu, Venezuela. 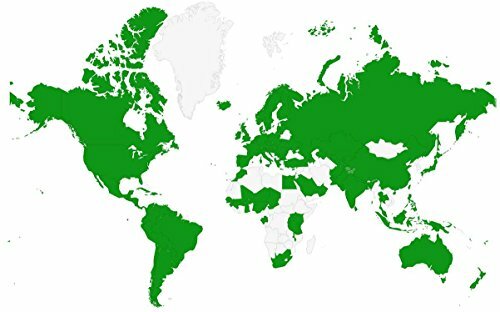 Main Partner operators: Vodafone, Digicel, Claro, MOVISTAR, BEELINE, Optus, Telstra, Telus, Tigo, Entel, China Unicom, ChinaMobile, Vodacom, Tele 2, CUBACEL, MTN, O2, T-Mobile, Aircel, Softbank, E-plus, Yoigo, Etisalat, Du, EE, At&t, Telcel…ChatSim connects all your Chat Apps around the world. 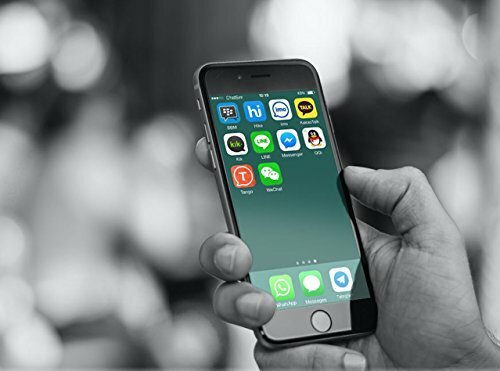 You can chat free and without any limits with WhatsApp, Messenger, WeChat, LINE, QQ and all other instant messaging Apps. 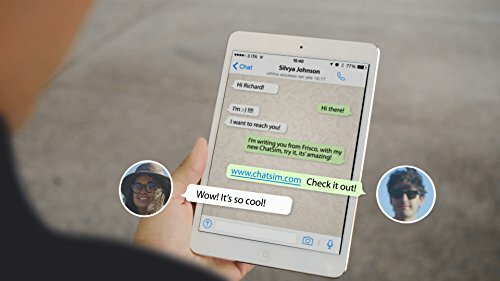 Anywhere in the world, you will be connected to the provider with the best coverage and signal for chat apps and calls. 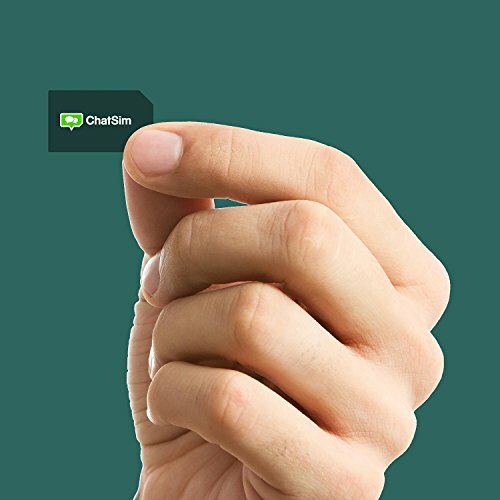 With the ChatSim sim card you can chat with your friends through the most used chat apps, like Whatsapp and Messenger.